IntLawGrrls: Still Kicking at 60? In this 60th anniversary year of the 1951 Convention Relating to the Status of Refugees, reflections on the treaty tend to focus on its gaps in coverage and its incapacity to address modern problems faced by those fleeing persecution in their home state. UNHCR's Washington office has taken a more constructive tack, drawing up a list of pledges that the United States should adopt in order to bring its refugee law and policy into line with the letter and spirit of the Refugee Convention. Available for download here, the pledges cover a broad range of issues, from bars to asylum to statelessness. Though a creative use of UNHCR's soft law power, the list also serves as a reminder of the limited options for adapting the treaty to modern refugee protection dilemmas. The list of pledges is a detailed public shaming exercise, with the international community --specifically other States Parties -- as audience. 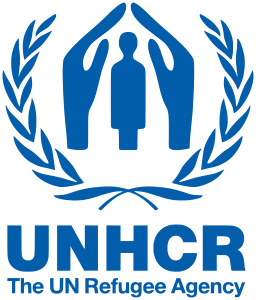 In December, UNHCR will host a Ministerial meeting in Geneva of States Parties to the Refugee Convention and the 1961 Convention on the Reduction of Statelessness to commemorate, respectively, their 60th and 50th anniversaries, as well as the UNHCR's 60th anniversary. At that meeting, States are "invited to reaffirm their commitment" to their treaty obligations through pledges. Working with the State Department's Office of Population, Refugees, and Migration (PRM) as well as academics and NGOs, UNHCR drafted proposed pledges that the United States might make in sixteen areas of domestic and international protection. Though certainly related to some UNHCR Executive Committee Conclusions (the main site of soft law creation in the refugee regime), the pledges are significantly more country-specific. Indeed, the level of detail is reminiscent of recommendations from the Universal Periodic Review process or Special Rapporteur country reports, without the lengthy critique section. This specificity wields significant shaming power, though if the audience is other States Parties, it's not clear that their records of compliance with the text and spirit of the Refugee Convention are any stronger. Would a treaty enforcement body with the power to issue binding decisions in individual cases (such as the Human Rights Committee) fare better in the compliance realm? The central obstacle here, of course, would be convincing the United States to sign on to a mechanism that allowed individual complaints. 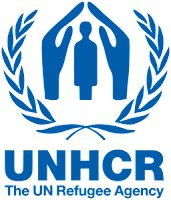 UNHCR's list of proposed pledges demonstrates the obstacles -- requiring the allocation of significantly more resources to the asylum process for adjudicator training and pro bono legal counsel, reforming interpretations of national security exclusion grounds, ending the prosecution of refugees who enter on false documents, and offering a full and fair refugee screening process for individuals interdicted at sea. Even if the U.S. agreed to submit to an individual complaints process, it's hard to say whether it would be more beneficial to the refugee law regime to establish a legal mechanism whose inconvenient findings it would likely ignore than to stay the current course. In any case, it seems that even if PRM adopts most of UNHCR's list of pledges, they are not likely to be implemented in the current political climate. Many of the proposals require significant resource expenditure and/or currently unpopular stances that prioritize immigrants' rights over a broad national security agenda. Public education is the key to making these changes politically viable. It's a long slow path, but one that UNHCR might be able to help build.